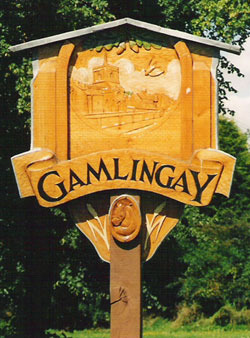 I lived in Gamlingay for a decade, from 2005 to 2015. It's a largish village on the border between Cambridgeshire and Bedfordshire; an ancient settlement, a thriving medieval market town, and a popular coaching stop in the eighteenth and nineteenth centuries. Its fortunes have waxed and waned over the centuries. Right now, it's a growing and vibrant rural community with a mixture of ancient and modern buildings and a great sense of community. On these pages, I offer a personal view of aspects of the village, as seen through the lens of my camera, reflecting the time I lived in the village. My name is Brycchan Carey. Please feel free to contact me, but please read the Frequently Asked Questions first. To find out more about my interests, visit my homepage. To find out more about my career, read my CV. To see a full index of this website, click here. If you'd like to receive an update about this website every two or three months, click here and fill out the form to be put on the mailing list.